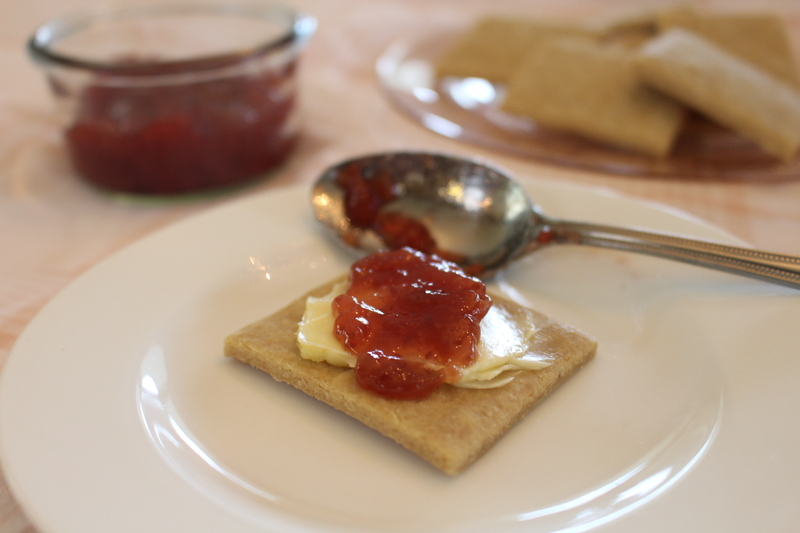 These crackers are paleo friendly and gluten free. One batch makes about 50-60 crackers so you will be able to enjoy these for a while (unless you live with my kid, who is a little cracker thief). 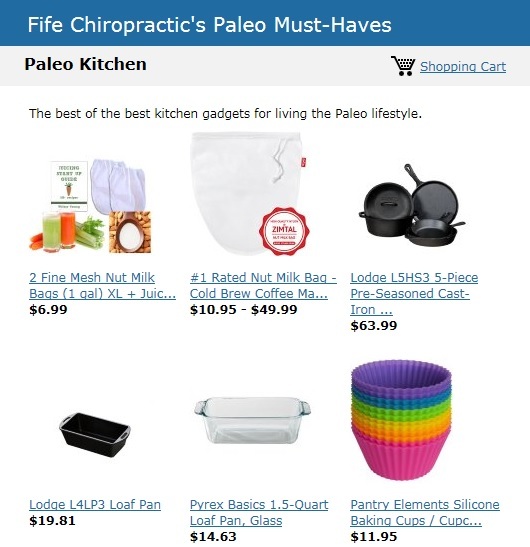 Another bonus–they are easy to store! Add the crackers and a paper towel into a ziplock bag or bowl with a lid, and leave on the counter. You definitely don’t want to store these in the fridge or they will become chewy. 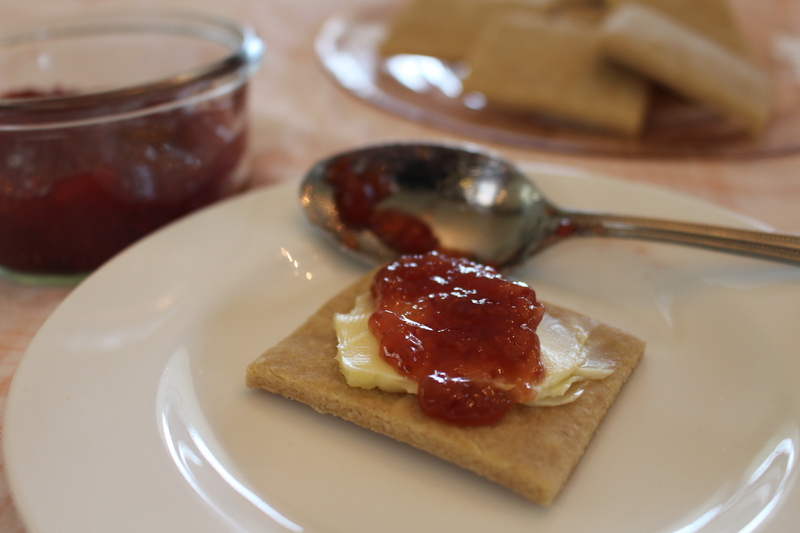 I love to spread butter and jelly on top, but I’ve also been known to use them with dips and lunch meat. I hope you love them! Preheat the oven to 350 degrees. 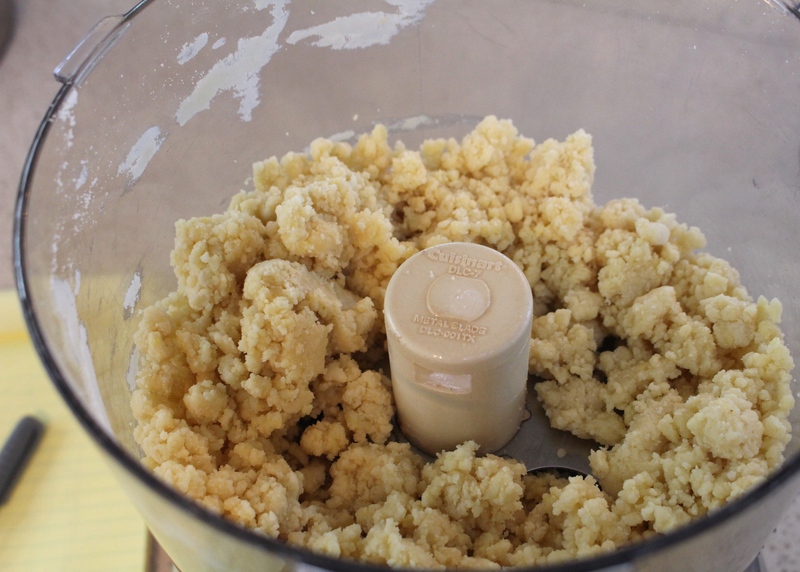 Using your food processor, add the almond flour, tapioca flour, sea salt, and baking soda. Pulse together for 15 seconds. Add in the remaining ingredients and blend together for another 20-30 seconds. 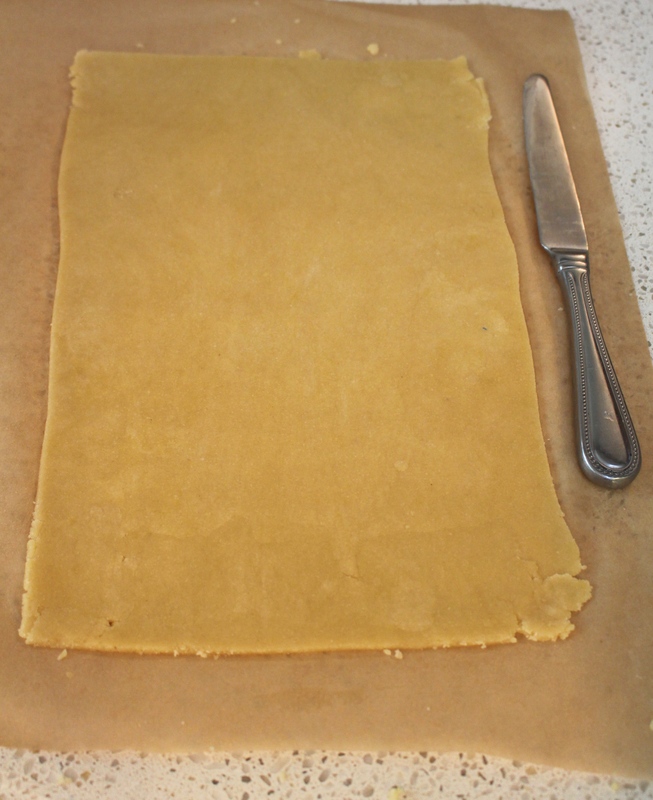 Next, lay down a piece of parchment paper onto the counter that is the same size as your cookie sheet. Form the dough into 2 balls and place one of these on the parchment paper. Put another piece of the same sized parchment paper on top of the dough. Using your hands gently flatten the dough down. With your rolling pin, roll the dough out to 1/8 inch thickness (rolling over the top piece of parchment paper so that the dough won’t stick to the rolling pin). When I do this step I try to keep a rectangular shape by trimming the sides of the dough and filling in the gaps with the trimmings. Keep rolling until the consistency is even throughout the rectangle. 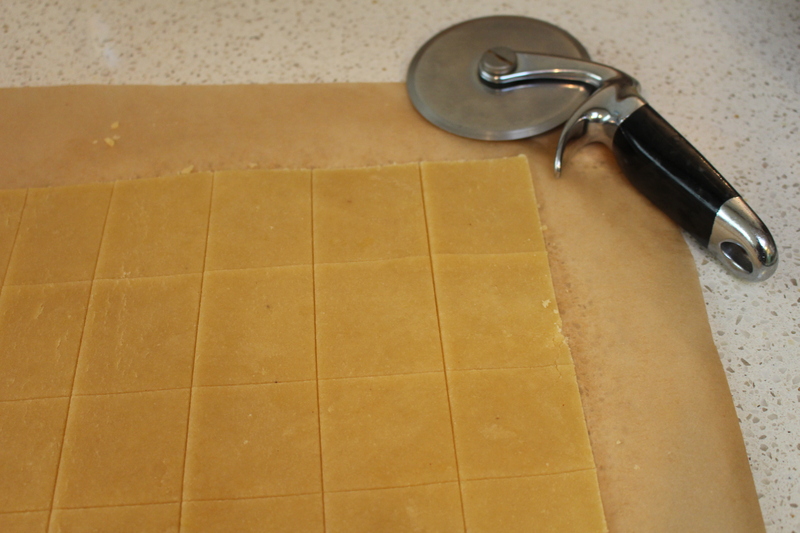 Remove the top piece of parchment paper and cut the cracker shapes using a pizza cutter. A knife works too but it will take more time and your crackers won’t come out as even. I like to cut squares that are about 2” X 2”. 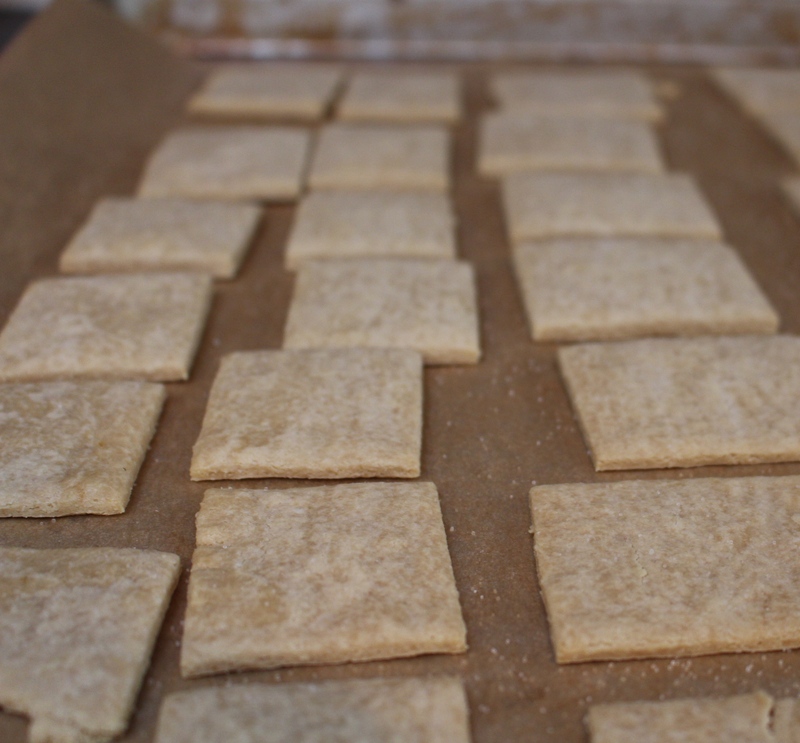 Slide the crackers with the parchment paper onto your cookie sheet and bake for 8 minutes. Repeat this process with the second ball of cracker dough. Let cool for 10 minutes and enjoy! Make sure they are 100 percent cool before storing them.